This summer BC High is offering Academic Credit Recovery courses to students who need to make up a low or non-passing grade. Students will intensively review a subject to be able to pass the required test for a passing grade. Some homework and outside class time may be required for each course, depending on the course. This program is available to any High School student from both Independent and Public Schools. 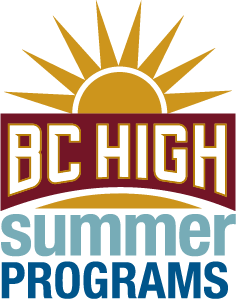 Final grades will be submitted to the student’s school thru BC High’s Summer Program’s office.